HomeCelebsWill Sonam Kapoor play the leading lady opposite Akshay Kumar in 'Sooryavanshi'? Bollywood actress Sonam Kapoor has been making the headlines for quite some time now owing to her latest film 'Ek Ladki Ko Dekha Toh Aisa Laga'. And now, it seems like there's more exciting news coming up regarding the actress. As per reports, Sonam is all set to share screen space with Akshay Kumar in the latter's upcoming cop drama titled 'Sooryavanshi'. An online portal had recently reported that the film's director Rohit Shetty and his team had set up a meeting with Sonam to discuss an upcoming film and buzz is that the film is none other than 'Sooryavanshi'. It was earlier also reported that Katrina Kaif had been selected as the leading lady of the film, however, these reports were brushed off by Rohit. Talking about it, he had said, "It’s not true'. We are still working on the script." 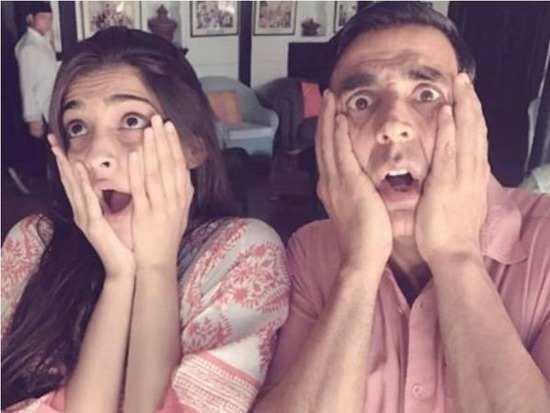 If Sonam does end up working in the film, this will be the third film where she will share screen space with Akshay. Last year, the two had featured together in 'PadMan' which had gone on to garner massive success. In 'Sooryavanshi', Akshay will be seen playing the role of an ATS (Anti Terrorist Squad) officer. Reports suggest that the actor will begin shooting for the film in April after he wraps up shooting for a few other projects. Sonam is also currently working on a few other films, but we can hardly wait to watch the duo back on-screen together. Stay tuned for more updates. 1Will Sonam Kapoor play the leading lady opposite Akshay Kumar in 'Sooryavanshi'? 6What Nick Jonas gave Priyanka Chopra's bridesmaids in exchange for his joote will leave you stunned!